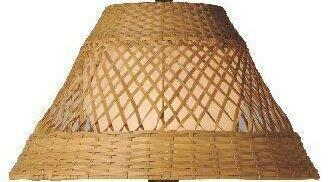 l Weather hand woven PVC wicker shades highlight these elegant weatherproof lamps. All resin construction with heavy weighted bases and a two level dimming switch ensure these lamps will enhance any outdoor living area. Unbreakable opal poly carbonate light bulb enclosure allows the use of a standard 100 watt light bulb. Elegant, beautiful. luxurious.................overall such a great lamp!